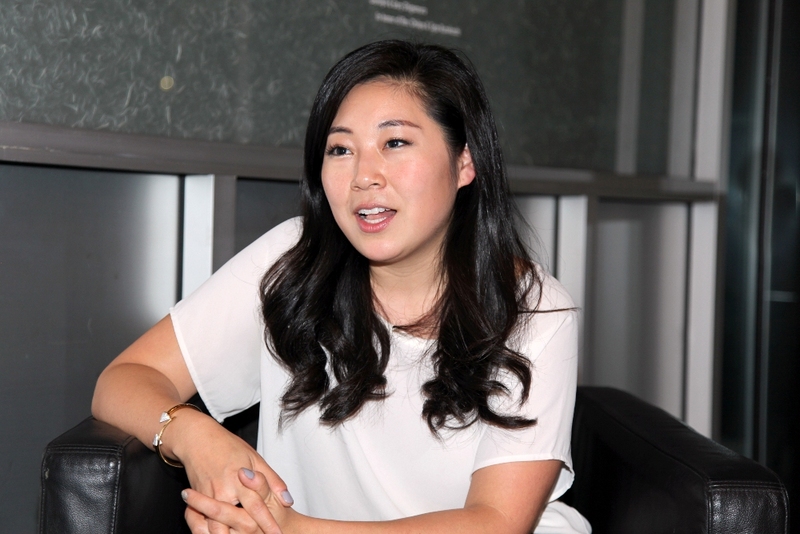 Hannah Song is President and CEO of Liberty in North Korea, an international NGO that helps North Korean refugees with escape and resettlement. Before taking part in a Zócalo/UCLA panel discussion exploring the question, “Is War With North Korea Inevitable?” at the National Center for the Preservation of Democracy in downtown Los Angeles, she spoke in the green room about discovering her Korean heritage, what her grandmother didn’t talk about, and what South Koreans really worry about. How did your interest in Korea develop? I’m of Korean-American descent, I was born in Michigan, grew up on the East Coast …. Never took much interest in Korea and Korean culture. My parents immigrated from Korea in the ‘70s, but they really wanted us to be assimilated to America. And when I went to college in New York I really had an opportunity to dig deeper into my roots a little bit and learn about Korean culture. That’s when I also started being interested in North Korea. I read a book about a young man who was put into one of North Korea’s most brutal political prison camps when he was nine years old, for 10 years, with his entire family, his parents and his grandparents, because North Korea has a collective punishment policy. I remember being so shocked. It was so devastating to think that something like that existed, and still exists today. There’s a network of political prison camps in North Korea with about 120,000 North Korean citizens, and the conditions really are horrific. There are some people who were born into those camps because of crimes that their parents committed, and they don’t know a world outside those walls. So this is what got you interested? Yes. Because my grandmother is from North Korea, but she never really talked about it until I began to learn about it on my own. And did your parents talk about growing up there, or the war, or any of that? No. It’s very common, I think. After the war, they grew up with their own form of propaganda from the South Korean government. Many people of their generation hold onto this perception of North Koreans being “commies,” and that kind of mentality. Suffice to say that they weren’t thrilled when I left my job in [the] corporate [world] to come work on this issue full-time. You’ve been to North and South Korea? I’ve been to South Korea a number of times since 2005, and I’ve been to North Korea once. I believe it was in 2008. I had an opportunity to go with a delegation to the special economic zone there. It was just surreal that we were actually able to go in. We crossed through the DMZ to the [Kaesong Industrial Zone]. I’ve had the opportunity to meet a lot of North Korean defectors and refugees because of the work we do, [but] being inside North Korea was really something else. We were on a carefully guided tour and we were pointed only in certain directions to look at certain monuments and certain historical sites. In one area we were sort of left in a courtyard, and I remember I climbed up on a bench because I wanted to look beyond the wall there. And just beyond the wall was where everyday North Koreans were just bustling about, living their lives, going by on their bikes to and from work. It was dirt roads; it wasn’t perfect, serene, clean, this impression that they wanted to give people. You say that the vast majority of South Koreans aren’t preoccupied with North Korea’s military threats. One of the interesting things is, now that North Korea has this ICBM that could reach the United States, in some ways Japan and South Korea are very unfazed because they’re kind of like, “Hey, welcome to our world.” This is what they’ve lived for decades; they’ve always been within range of North Korea. Just like we do fire drills and earthquake drills here, in South Korea they grew up doing bomb drills. And so many young people especially are completely desensitized to the issue in a lot of ways. Most young people are more concerned about the economy and jobs than they are about North Korea.